I used to customize my Ubuntu desktop with Docky, Faenza icons, Compiz effects, Nautilus Elementary, fonts, etc. to look good and work efficiently. 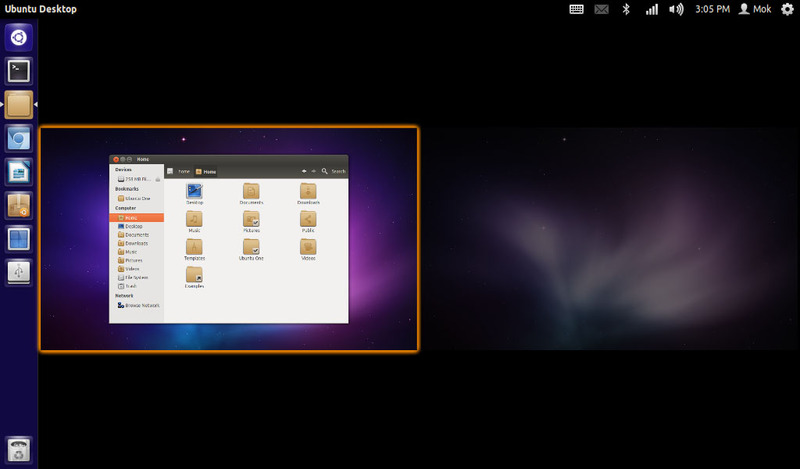 Until Ubuntu use Unity user interface instead of GNOME as default, my desktop settings is never the same. Even worse, it nearly makes me wanted to give up Unity after using several Ubuntu releases. But now I'm back with Ubuntu's Unity. Today, I would like to share with you my desktop setup. The setup is solely my own preference. Though it might not be your cup of tea but hopefully you will find some tweaks/tips are helpful. I use Ubuntu on my old HP mini 210 netbook (10.1-inch, Intel Atom N450, 2 GBs of ram). With only 1024 x 600 resolution on my netbook, every pixel counts. I have to try to optimize the desktop settings for netbook as the screen space is scarce. The Faenza is a nice looking icon set which I have been using for years. The square icons look consistent with Unity Launcher don't they? 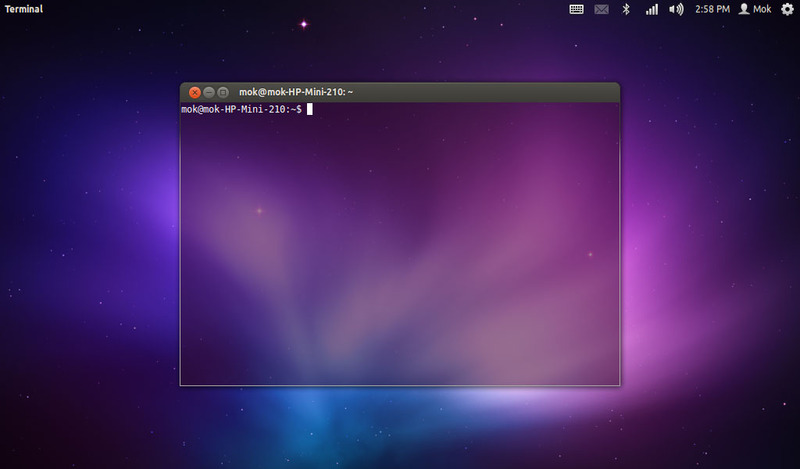 - Download and install Ubuntu Tweak. 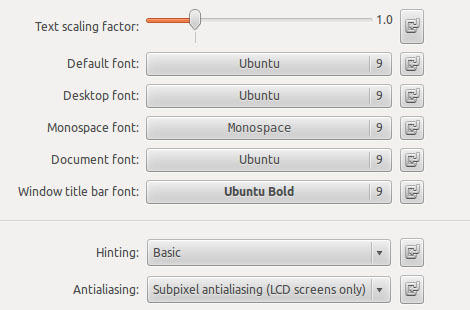 Open Ubuntu Tweak, click Tweaks > Theme > Faenza-Ambiance for icon theme. 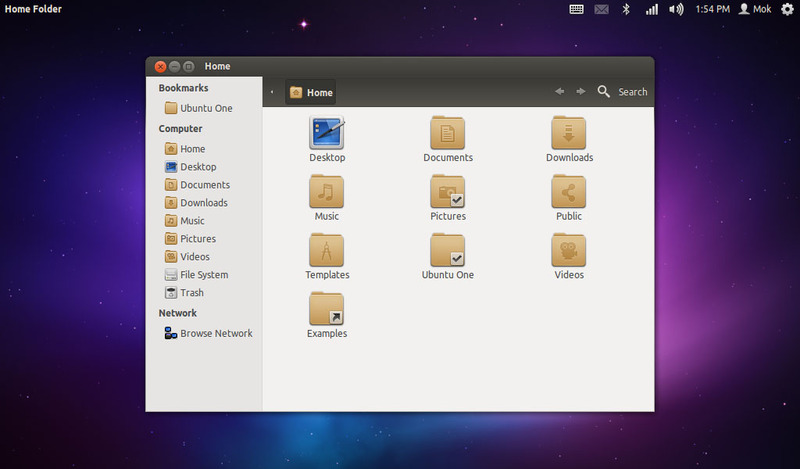 I like Ubuntu's default themes - Ambiance and Radiance. Depends on darker or lighter wallpaper I use, I usually switch between both themes and they look nice and fit. I use Ambiance on my netbook because darker theme works better on smaller screen. The Unity Launcher is semi-transparent. Small launcher icons size will look nicer on netbook. Launcher backlight toggles on active programs only is much easier to find active programs. Launcher's behavior also changed to auto-hide so that web browser able to view most web pages in at least 1024 width on my netbook. If I have a higher screen resolution, I would just let Launcher always visible and bigger icons. The top panel is fully transparent. The catch is the transparent panel can't "refresh" in some occasions. Global Menu shadow will stays on the panel in some occasions but it doesn't bother me much because I'm using a dark edges wallpaper which makes the annoying shadow hard to notice. 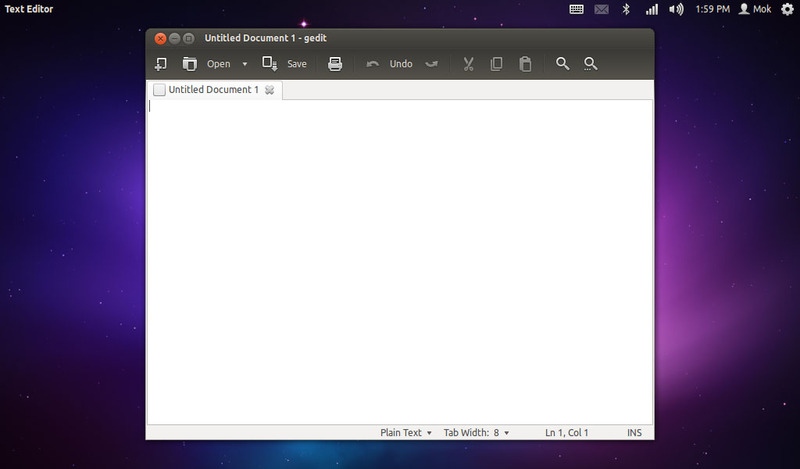 I like Ubuntu font but do you think Ubuntu default font size is a little oversized? Of course it all depends on your screen size and resolution. I like to have all my windows or programs open in the center of the screen instead of the top left corner. It looks tidier opening windows in the center. Install CompizConfig Settings Manager via Ubuntu Software Center. Once installed, open it. Under Window Management category, click Place Windows. Enable it and choose "Centered" for Placement Mode. Semi transparency on Terminal background is cool, also practical especially on netbooks with small screen size. The Terminal can be simply moving around on top of any windows on the screen without blocking the sight to execute commands. It allows me to work efficiently. Choose "Transparent background" and Shade transparent or image background slider is in middle for semi transparent background effect. Speaking of efficiency, I have set up 2 shortcuts on my desktop corners - bottom left and bottom right. So when I move my mouse cursor to the corner hotspots, the actions will be executed. On bottom left I have "Show Windows" which will shows all windows on current workspace. On bottom right I have "Show Workspaces". It shows all my workspaces. 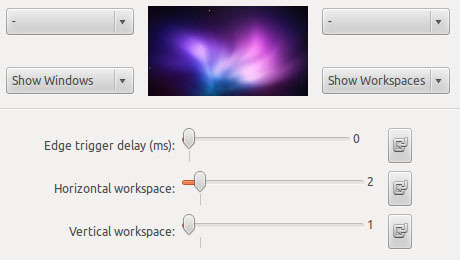 Open Ubuntu Tweak, click Tweaks > Workspace. 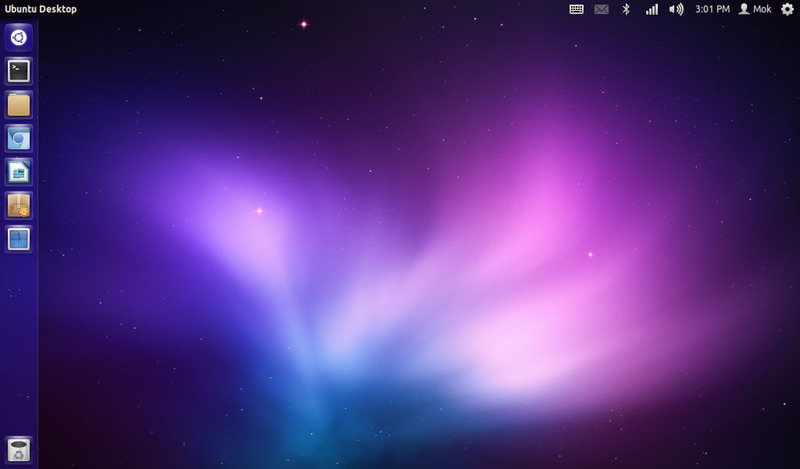 There you have it - all my basic desktop changes after a clean install of Ubuntu 12.04 LTS Precise Pangolin. 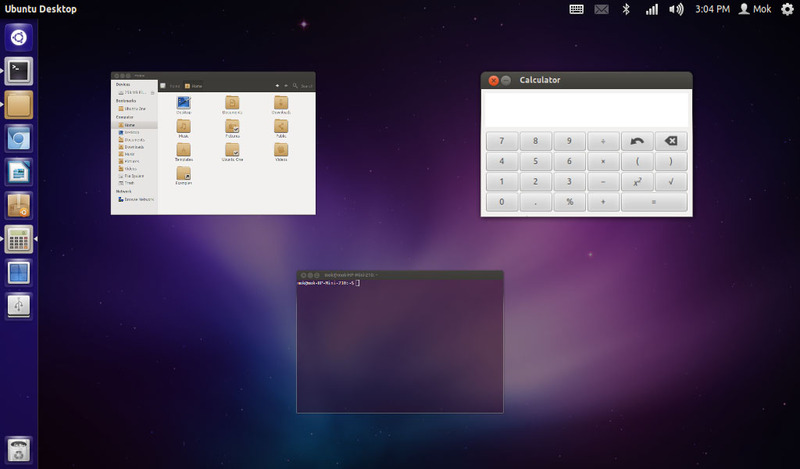 I would use a lighter version of Ambiance - the Radiance theme and semi transparent top panel that disguise as glass panel, if I install Ubuntu on computer with larger screen and resolution. That would be elegant as well.